Recently the Melbourne Art Book Fair was held and I went to the opening night at the NGV. It was a crowded affair with many beautiful books on display and for sale. It was a fantastic opportunity to see books from boutique and micro publishers as many of these type of publications a not held in bookstores. They're even hard to come across in independent bookstores. As you can probably see I've redone my website, this time with Squarespace. I transferred the last two blog posts to this format which is why the dates on both are the same. Using the new platform was an interesting experience. I'm not technically illiterate but still found it challenging. I think the evolution of 'help' pages in the tech space in general is continuing to be a growth area. And trying to get my .au domain to point to the right place was fiddly, but I did it! The industry seems to want us to do it all, which I think is the way to go - we then get to have more control in our own presentation on the web, and they try very hard to make it available to a broad audience, but have yet to hit a way of cutting through. I don't know what the answer is, it would be impossible to try and cover all bases of technical proficiency and platforms... and cultural differences (even if we all spoke the same language, semantics are everything) I don't envy their task at all. In general though, having used a number of platforms now, this experience has been the best yet. Its clean and simple design, although not intuitive enough for me yet, is the easiest I have had to use to date. Now that it's done though, I can concentrate on making more art! St Kilda Mums is a charitable organisation which provides help to mums who find themselves in trouble. 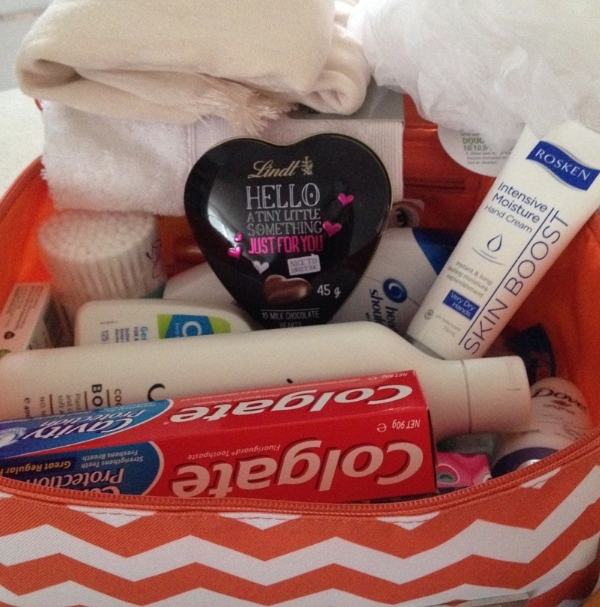 Their project for Mother's Day is From one mother to another and your job is to make up a toiletry bag with all the essentials, send it in to them and they'll make sure a mum in need gets something she needs. So with an open heart I built a couple and sent them off today. I shared it, like my sister, with my own friends and now they're involved too! It's not too late to contribute, I reckon they won't even care if you're not a mum yourself and just want to help. Thank you St Kilda Mums, you're ace! I completed a sketchbook for The Sketchbook Project. All posted off on time and everything! The theme I chose was 'In Brief', so I drew everything in briefs... well, I thought it was funny. It's a great project, check it out and join in for next year!